The #1 fitness app in over 127 countries. This app inspired by the 7 Minute Workout that was originally published in ACSM'S Health & Fitness Journal and then covered by the NYTimes. You get 12 high intensity bodyweight exercises with 30 seconds per exercise and 10 seconds rest between exercises. The Wahoo TICKR X is a heart rate monitor intended for use on or offline with your iOS or Android smartphone or tablet device, or even your GPS watch. In conjunction with your device, it uses Bluetooth 4.0 and ANT+ technology to track heart rate, calories burned, time, plus distance and pace information. The TICKR X features built in memory enabling you to train without your smartphone and sync your data later. It has been optimized for runners and also monitors your running form in three dimensions, alongside other key running indicators such as cadence, vertical oscillation and ground contact time. It can also perform automatic rep counting and pair with the Wahoo Fitness app to capture indoor cycling cadence and treadmill workouts. The TICKR X also incorporates the Burn & Burst 8 week training plan to help you reach your fitness goals. This setup guide is intended to assist with wearing the TICKR X and pairing to the Wahoo Fitness app. Wake up your TICKR X by wearing it on your chest. The TICKR X wakes up when a heartbeat is present. Choose the workout profiles you would like your TICKR X to be active for (ex. Running & Cycling). Choose your TICKR X from the list of available sensors. Choose the workout profiles you would like your TICKR X to be active for (ex. Running & Treadmill). Note: your TICKR X can be used just like a standard Heart Rate Monitor for other activities such as Cycling or Tennis. Your TICKR X is now set up and ready for action. To use your TICKR X, start a workout with one of the profiles you paired it with. The Wahoo Fitness app will remember this pairing in the future. You simply need to wake up your sensor and start a new workout to begin recording data! 3x Flash: Occurs the instant a connection is made. Quick Blink (about twice every second): TICKR X is paired to a device. Please note that you can select the TICKR X from the Saved Sensors (Saved Devices) menu at any time to access the in-app tutorial, along with a range of other functions. From this menu, scroll to the bottom and select "Show Tutorial” to learn more about a variety of functions available to get the most out of your TICKR X. NOTE: Use the calibration function when on a treadmill to enable your TICKR X to accurately measure your running speed and distance when performing a treadmill workout. Select the TICKR X from the list of Saved Sensors. Scroll down and select "Calibrate” from the menu. Select the calibration type and follow the prompts to complete. Make sure the device has Bluetooth turned on so it can communicate with your TICKR X. Select what you would like the double tap function to perform on your TICKR X. Make sure the TICKR X is synced to your device. It will appear in the list of Linked Sensors for that workout profile with an indication of signal strength shown on the far right when it is connected to your device. Select the green "Start” button to begin the workout. Information gathered from your TICKR X will now start to be displayed on your device. When you next sync your device with the TICKR X it will prompt you to download the workout data from the sensor. The TICKR X will record up to 16 hours of workout data in offline mode. ^ If you wish to confirm the TICKR X is working during an offline workout, double tap it at any time & the LED will flash again to indicate it is awake (however, each double tap will place a marker in your workout history). NOTE: If you have recorded offline workouts, they will appear in the History menu upon syncing with the Wahoo Fitness app. However, a workout less than 5 minutes in duration will not be synchronised. They can be downloaded manually in Sensors>TICKR X>Device Free Workouts. Use the Pencil icon to make changes to your workout if required. e.g. Select what you would like the double tap function to perform on your TICKR X or edit the Audio Announcements. Make sure the TICKR X is synced to your device. It will appear in the list of Linked Sensors for that workout profile with an indication of signal strength shown on the far right when it is connected to your device (button located in the top right corner). 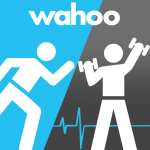 NOTE: If a firmware update is available for your sensor, the Wahoo Fitness app will now prompt you to proceed with performing an update using the Wahoo Utility app. If you do not, the update may be performed later. 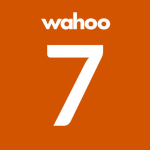 The free Wahoo Utility app is required to perform firmware updates and is available from the Google Play Store. NOTE: If you have recorded offline workouts, they will appear in the History menu upon syncing with the Wahoo Fitness app. Select the "Sync offline workouts” button located in the top right corner of the screen. Select "Continue” to import the offline workout data. Heart Rate Training: Use the HR Training function in Settings to measure your Burn and Burst numbers and optimise your workout. Learn more about how you can optimise your heart rate training using the Burn and Burst training plans. Make sure you are not in proximity to any other heart rate transmitters. On your iOS device, navigate to Settings>Bluetooth. Toggle Bluetooth to the "on” position. Look for the TICKR X under "Devices" and select it. Wait for it to appear under "My Devices" with a "Connected" status beside it. Return to your iOS device's home screen and select the "Health" icon. Toggle "Heart Rate" (under "Allow Nike+ Running to read data") to the "on” position. Want to connect another app? Using a coin, remove the back casing of the device by inserting into the depression and turning anti-clockwise to the "unlock” position. Replace the back casing and use the coin to turn clockwise to tighten to the "lock” position. Select "BlueHR/TICKR”. The Wahoo Utility will now try to connect to the sensor. Select "TICKR X”. The Wahoo Utility will now try to connect to the sensor.